Newer Model Available: PR System One REMstar BiPAP ST Machine. 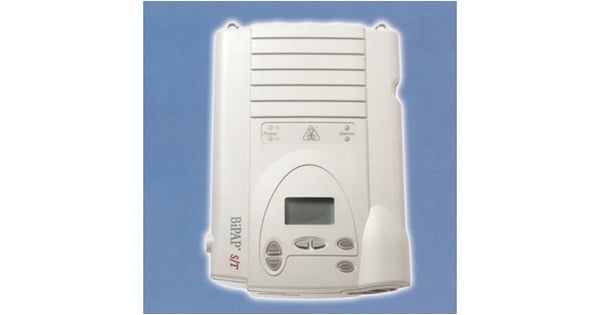 From Respironics, the company that invented BiPAP, comes the REMstar BiPAP ST Gray Model. This machine uses an advanced algorithm to track and match a patients breathing pattern), adjustable RiseTime, integrated alarms and improved leak compensation. The Respironics BIPAP ST is the first noninvasive device to combine the proven BiPAP technology with SmartCard for use with Encore Pro, which facilitates more accurate tracking of data management. 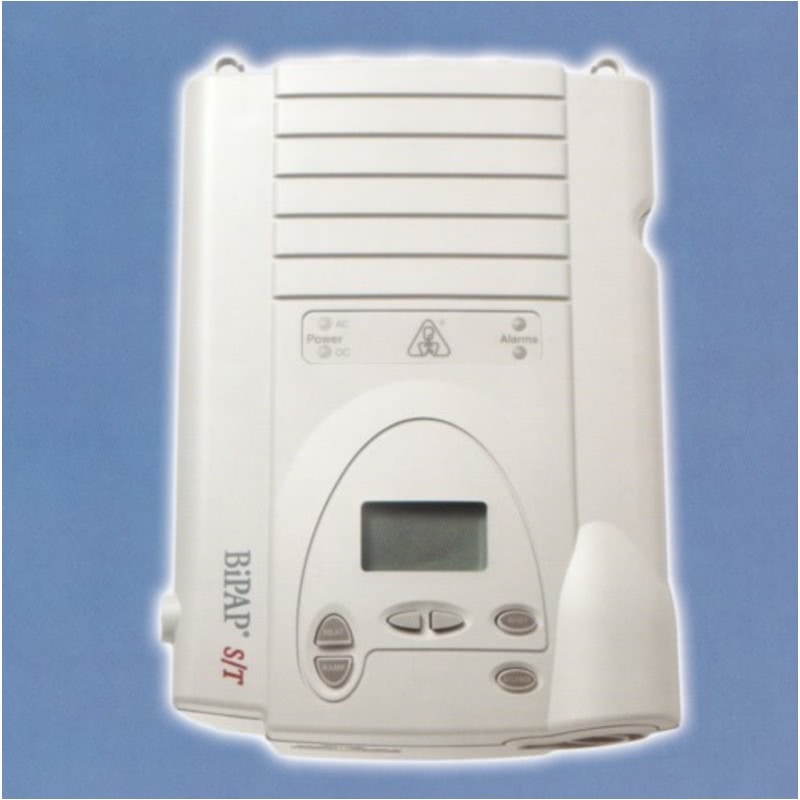 BiPAP ST is also rich with sophisticated features such as Digital Auto-Trak Sensitivity (which The BIPAP ST offers a straightforward user interface and an integrated heated humidifier option for easier set-up and management. The pictured Remstar Heated Humidifier is not included with with this product, but can be purchased separately. Noise Level No specification is given because various test instruments, test procedures and unit operating conditions produce varying results. Fuses There are replaceable fuses in this device. IEC 60601-1 Medical Electrical Equipment, Part 1 General Requirements for Safety and essential performance. This is the gray model BiPAP ST. Respironics has another machine by the same name that is white in color. The pictured Remstar Heated Humidifier is not included and can be purchased separately. Respironics Legacy BiPAP machines come equipped with a DC plug on the back of the unit. This allows the user to connect the BiPAP to an external DC battery source. This cord is ideal for travel by recreational vehicle, boat, or any external DC battery that is equipped with a cigarette lighter plug.